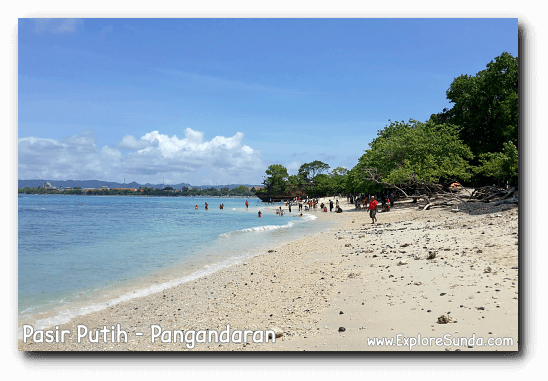 One of the many Pasir Putih beaches in Indonesia, the one in Pangandaran is part of Pananjung Nature Reserve. 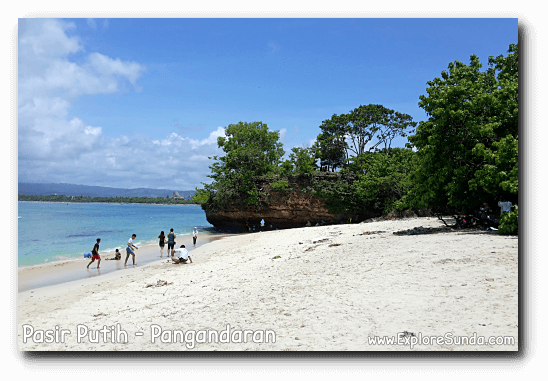 The main attractions of this beach are its white sandy beach and turquoise sea, which we can't get in Pangandaran. Although these beaches are very close, they are very different. 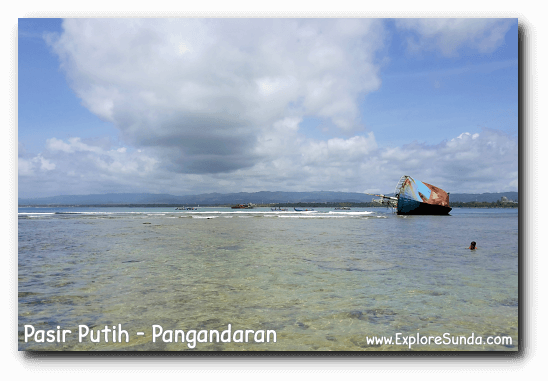 Pangandaran beach is covered with dark sand since it contains iron sand, thus, its water is also brownish. 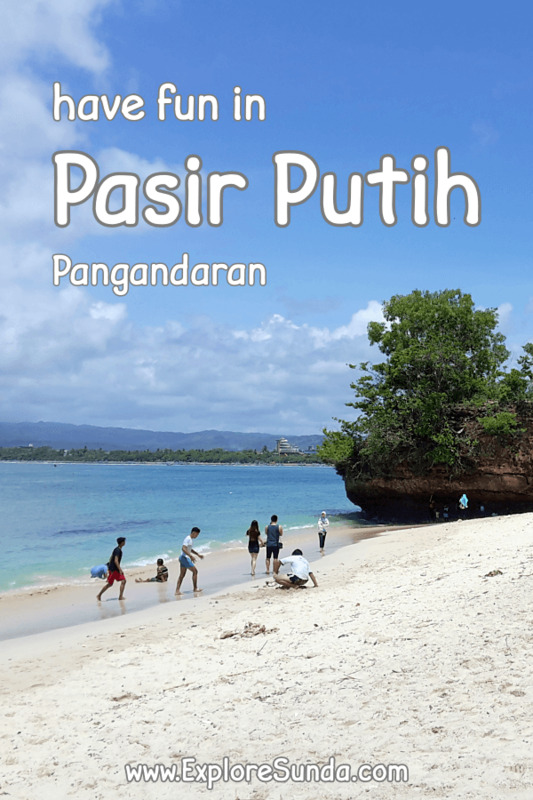 On the other hand, Pasir Putih beach is made of broken corals, resulted in white beach and crystal clear sea water. 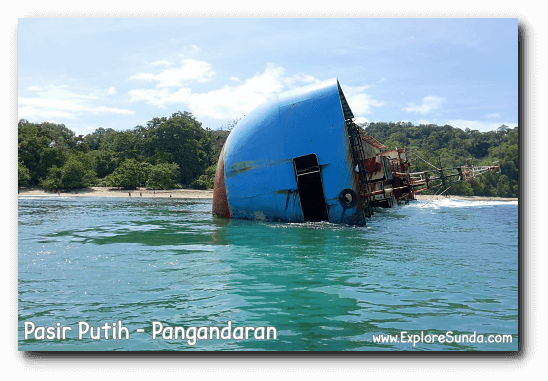 How to Go to Pasir Putih Pangandaran? 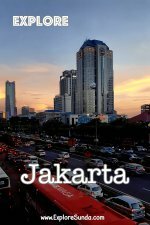 There are two options to go to Pasir Putih beach. 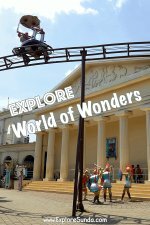 First, we walk from Pananjung Nature Reserve gate, explore a bit of the reserve, such as visiting the ex-war cavern and see some monkeys and deers. The prima donna of the reserve is the bulls. However, since their numbers are shrinking, visitors rarely see them. The second option is more fun: we go sailing with a fisherman boat. You don't have to find boatmen who can take you there. As soon as you hit the sand, one by one they will approach and offer you a boat ride. The price is not fixed though. There are a lot of rooms for bargaining. On average, one person will be charged Rp. 20,000 for a return trip. But, since the beach is part of Pananjung Nature Reserve, we also must pay for the ticket to the reserve, although we only stay on the beach. Last time we went there each person ended up paying Rp. 20,000 for the boat and Rp. 15,000 for the nature reserve ticket. Each boat can carry up to six people. The boat ride takes less than 10 minutes. When you arrived there, memorize the name of the boat and inform the boatman when to pick you up or ask his number and call him whenever you are ready to return. Most likely, the boatman will offer you a longer boat ride, to sail further to the south, where we can see some rock formations. One of them is called Batu Mandi. 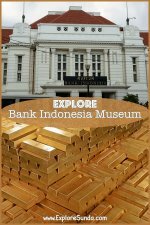 This trip will cost you around Rp. 300,000 to Rp. 400,000 per boat. Again, there is room for bargaining here. People come here for the white sandy beach and clear to turquoise sea. So, naturally, the most favorite thing to do here is play in the water! The waves are quite strong at the beginning of the beach, where the boats arrived, but they are not suitable for surfing though. Just be careful when you see the color of the sea changes from clear to turquoise, it means the bottom of the sea suddenly drop several centimeters. Plus, watch out for the incoming and outgoing boats. All of this beach is made of broken corals. Unfortunately, they are sharp and hurt our feet. Hence, it is difficult to walk along the shore barefooted. That's why people prefer to stay near the boats. Although the further you walk down the beach, the clearer the water with almost non-existent wave. Hence, we can walk on the reef and see schools of fishes swim. 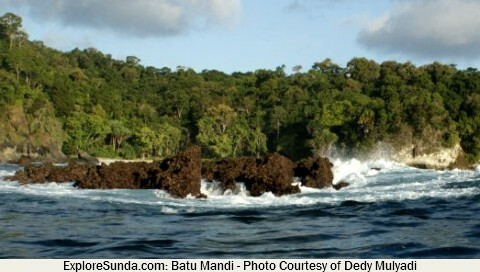 Recently, an illegal fishing boat was shot by our Ministry of Marine Affairs and Fisheries. The remains of the boat was put here near the shore. Usually the boatmen will approach it for us to see closer. We even can approach it from the shore during the low tide. 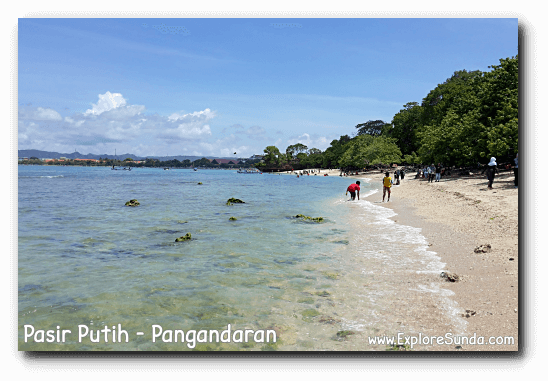 Nowadays, people also like to go snorkeling in Pasir Putih. We can rent the equipments including life jackets directly on the beach. If you are a novice, there are several guides who can accompany you snorkeling. If you want to stay longer here, you can bring some take away food and have a picnic. Just don't forget to bring back the trash with you. Plus, please beware of the monkeys who often come to the beach. Sometimes they look cute but they are still wild animals with unpredictable behavior.